The fiercest battle is for the No. 2 spot in U.S. full-size sales, which Fiat Chrysler Automobiles CEO Mike Manley last year proclaimed he'd like Ram to seize from Chevrolet. To underscore the point, FCA this month launched a "Ram Truck Month" promotion, advertising more than $15,000 off its previous-generation Ram 1500 and nearly $11,000 in incentives on the current generation. The exact terms and offers vary by region and customer. To defend its turf and clear out older models, Chevrolet launched a "Silverado Sell Down" campaign that touts more than $10,000 off the outgoing Silverado 1500. It's also offering more than $7,000 in incentives on the redesigned 2019 Silverado, which went on sale in August. GMC, Chevrolet's sibling brand, has similar incentives on the outgoing Sierra 1500 but only up to $4,500 for the redesigned pickup. 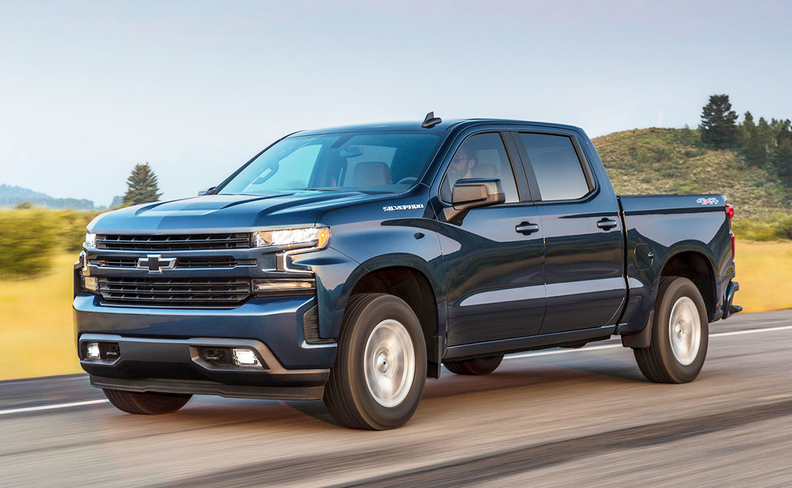 Karl Brauer, executive publisher of Autotrader and Kelley Blue Book, attributes that conservatism to the F series' healthy sales lead over its rivals and the fact that GM and Ram are launching redesigned pickups alongside previous generations. "If Ford has been able to manage their inventory better, plus not have to worry about a sell-down, that would explain their ability to not compete in this kind of price war," Brauer said. According to the Automotive News Data Center, FCA's share has grown 3.6 percentage points to 22.2 percent in the last five years. That compares with 33.3 percent for GM's two brands, down 1.5 percentage points, and 37.6 percent for Ford, down 2.3 points. Toyota and Nissan split the remaining sliver. On a call with investors last week, FCA's Manley said he expects the industry overall to be more disciplined on incentives in 2019, which he believes will be good for Ram. He also raised the prospect of increasing Ram's share in the commercial market with the outgoing model, which the company is expected to produce through at least this year. The average incentive spend for the full-size pickup segment last year was $5,670 per vehicle, according to J.D. Power. Incentives for the segment in January were $5,560 — slightly below last year's average and just $81 above a year ago. The small increase was due in part to a seasonal pullback in incentives in January following large end-of-year discounts, including Chevrolet's employee-pricing promotion on its outgoing pickup and other models in December. In January, Chevrolet offered an average of roughly $4,600 in incentives per Silverado sold, according to internal J.D. Power data obtained through outside sources, down from more than $6,000 in December. Ford's F-series spending dropped 8.3 percent to $4,500 in January, and Ram's pickup incentives fell 5.9 percent to $5,178. The pickup battle is expected to continue, if not escalate, this year with GM and Ram launching redesigned heavy-duty pickups against freshened Ford HD models, and Ford and Jeep re-entering the midsize segment to compete against GM's aging Chevrolet Colorado and GMC Canyon and the segment-leading Toyota Tacoma. GM has sold the most light-duty pickups (midsize, full-size and HD) for five consecutive years, and it doesn't plan to let that title go without a fight. It's gearing up for a battle with Ford's resurrected Ranger and Jeep's coming Gladiator. "All I can say is, welcome to the party," GM President Mark Reuss said last week of the new competitors. "You're only five years late and half a million trucks behind."